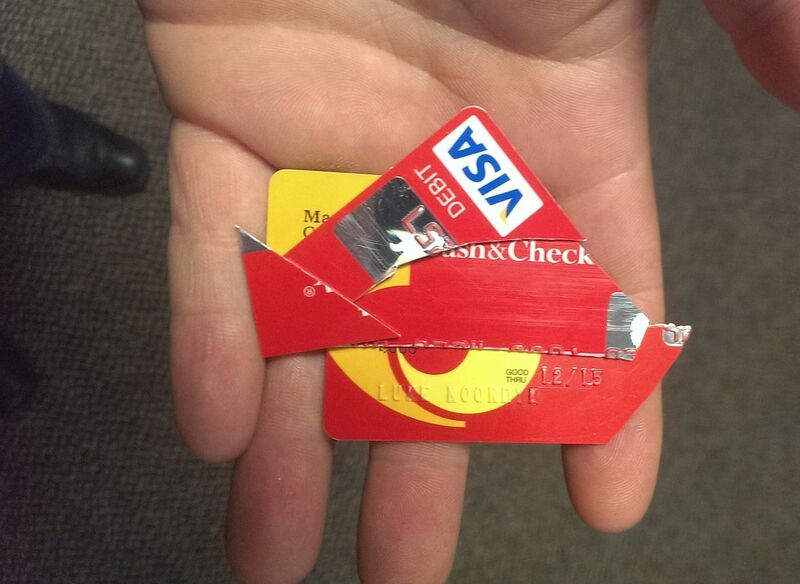 Cut up another Debit Card! Marquette, Michigan – Identity Theft and Credit Card Fraud… I never though it’d happen to me. When I was a younger man, and apparently a wiser man… I always used cash, regardless if it was easy or convenient, I always used cash – Cash was King. However, over the past few years I’ve grown quite comfortable relying on my debit card. Not a a Credit Card, (I still believe if you don’t have the money, you shouldn’t be buying anything). Now it’s happened twice. A call from the bank with questions about my location or transactions… No, I wasn’t in Texas yesterday… Luckily they have covered the expense and handled all of the legal aspects of the fraudulent charges. Plus, my card always works because the magnetic strip is like new since it doesn’t get a chance to wear out. I think I need to go back to my “Cash is King” policy, and even if I use my card also have enough cash on me to cover it. At least I’ve gotten good at cutting up the cards. I always keep 2 pieces, throwing them away the next week. One with a portion of the magnetic strip and a second with a section of numbers. 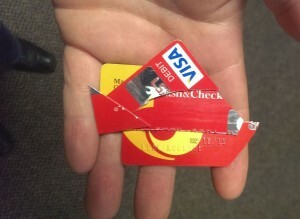 Seems safer this way even though the card is shut off.